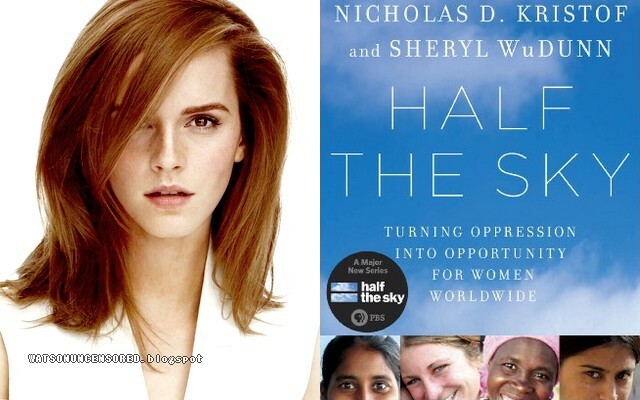 For September & October, I’ve chosen a book that tackles inequality and women’s rights head-on: Half the Sky: Turning Oppression into Opportunity for Women Worldwide. Half the Sky depicts, in eye-opening detail, the various cultures and customs that suppress women and gives a voice to those individuals who need to be heard the most. Traversing through Africa and Asia, Kristof and WuDunn introduce us to some incredibly strong women and describe their stories of suffering and survival. Most importantly, the book spotlights how these women were able to stand up and transform their lives and, through their inspiring examples, we learn that the key to enabling change and economic growth is in unleashing women’s potential (the title of the book, after all, comes from the ancient Chinese proverb, “Women hold up half the sky”). Kristof and WuDunn dare us, as readers, to join the cause and Half the Sky shows us how, by doing even a very small amount, we each have the power to change other women’s lives. Since its publication in 2009 it has started a global movement (www.halftheskymovement.org).